RigDzin Dharma Center is excited to host Ven. Dorzin Könchok Dhöndrup, resident lama at Dri Thubten Dargye Ling in Singapore, from January 30 to February 12, 2012. This is the first time Dorzin Dhöndrup will visit Albuquerque. Dorzin Dhöndrup had kindly agreed to offer teachings on Mahamudra and Buddha Nature, as well as to lead practices, meditations and participate in our discussion groups. He will also be available to give interviews. What is Mahamudra? In Garland of Mahamudra Practices , Khenchen Konchog Gyaltsen Rinpoche says: "...It is the Buddha nature, the basic mind within all sentient beings. To know it is to know the true nature of all phenomena, and to actualize it is to become a Buddha, to be one with all the Buddha qualities..."
Mahamudra has been described as being particularly beneficial during the present age in the West, with our very busy lifestyles. It is a path that is extremely simple in that it does not require a lot of preparation or devices. Mahamudra can be practiced at any time or in any situation, provided one possesses mindfulness and alertness. The February 3-5 teachings will be based upon the text: Introduction to Mahamudra: The Co-emergent Unification by Lord Jigten Sumgon with translation by Khenpo Konchok Tamphel (available in the Center bookstore). These precious Mahamudra teachings bring the whole range of essential pith instructions in the Buddha's teachings of sutra and tantra. Left behind by the past siddhas, it is the most profound Dharma of the Kagyu lineage in general and the Dagpo Kagyud lineage in particular. All sentient beings, without exception, possess Buddha Nature, the inherent purity and perfection of the mind, untouched by changing mental states. On February 10-11, Dorzin-la will continue to provide in-depth instruction on how we can access our own Buddha nature through Mahamudra practice. He also will offer Chenrezig empowerment Saturday morning, February 11. "Ven. Dorzin Dhondrup is one of my lamas from Gar Monastery. 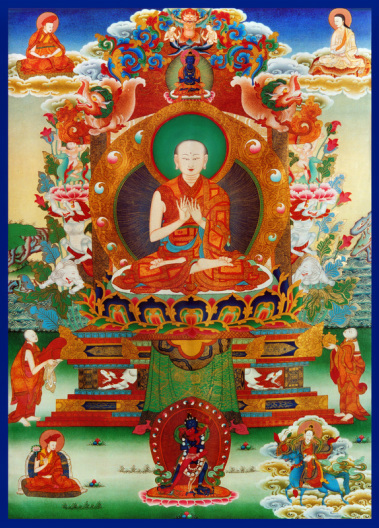 During his time at Gar Monastery, I granted him numerous empowerments, instructions, and transmissions, whereupon he engaged in diligent study and practice. In Tibet, he also received instructions from Khenpo Munsel Rinpoche and other great masters. Afterwards, he continued his studies in Jangchubling in Dehra Dun, India for several years under the guidance of His Holiness Chetsang Rinpoche. Due to his great abilities, study and practice, I sent him to take charge of my center in Singapore, and His Holiness appointed him with the title 'Dorzin' ['Vajra Holder'in English]. Ever since, he has upheld the center meticulously. 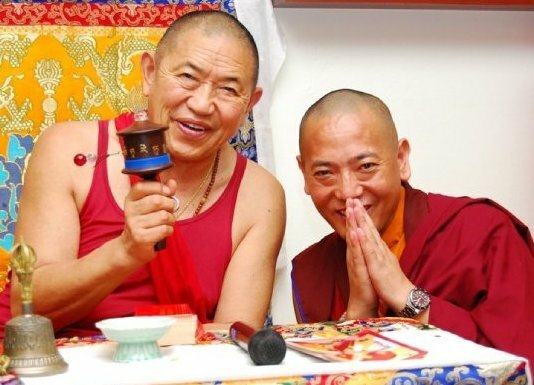 In 2012 Dorzin will visit the US in order to participate in the Yamantaka Drubchen. As I believe that he will be of great benefit to the students here, I have asked him to teach at several centers in the US. Therefore, I invite you to make use of this opportunity and attend his teachings with enthusiasm." To read Ven. Dorzin Dhondrup's full biography, click HERE.